Remember when "viral" meant something unpleasant that you caught without trying and the only good thing about it was that you got to stay home from school? The internet has changed all that! "Viral" has taken on a whole new meaning. Food Runners wants to go viral. Despite the more than ten tons of food picked up each week by Food Runners volunteers, masses amounts of food are still being thrown away by San Francisco business every day. Help get the word out. Send the link ( http://blog.foodrunners.org/ ) to this very blog to everyone you know. Let's put San Francisco at the top of the "zero food waste" list. We all know how much San Franciscans care about their fellow citizens. Let's prove it beyond a shadow of doubt by getting the word out. Food Runners really needs: your help in letting everyone who might have excess food know about our service to the community. All a business with food has to do is: put the food in plastic bags or other food-safe containers and call 415.929.1866 for a pickup. 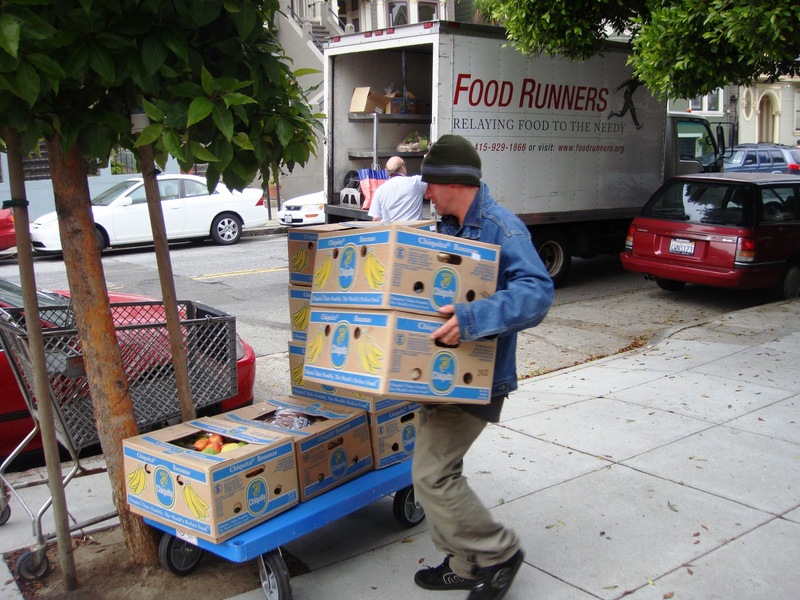 Businesses can be assured that: a Food Runners volunteer will come to pick up the food and deliver it where it can best be used. 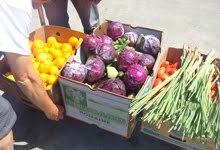 Whole Foods Noe Valley Saturday donation picked up by volunteer Ron K.
Food Runners' goal is: to keep edible nutritious food out of the compost! In addition: if anyone has food leftover from an event at their home, they too can call 415.929.1866, and we will tell them where they can deliver it in their neighborhood. Sister Marie Isabelle loving a much needed donation. We'd also like to: increase the awareness of Food Runners with churches, schools, and corporations. 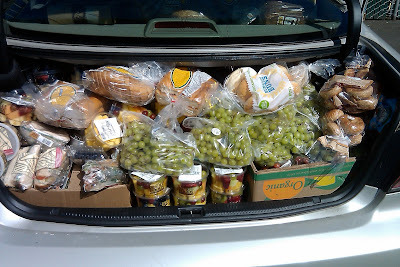 Simply copy this link: http://blog.foodrunners.org/ and send it to anyone you know in religious organizations, schools or colleges, caterers, event planners, law firms, and other businesses with food, you can help ensure that food is never wasted. 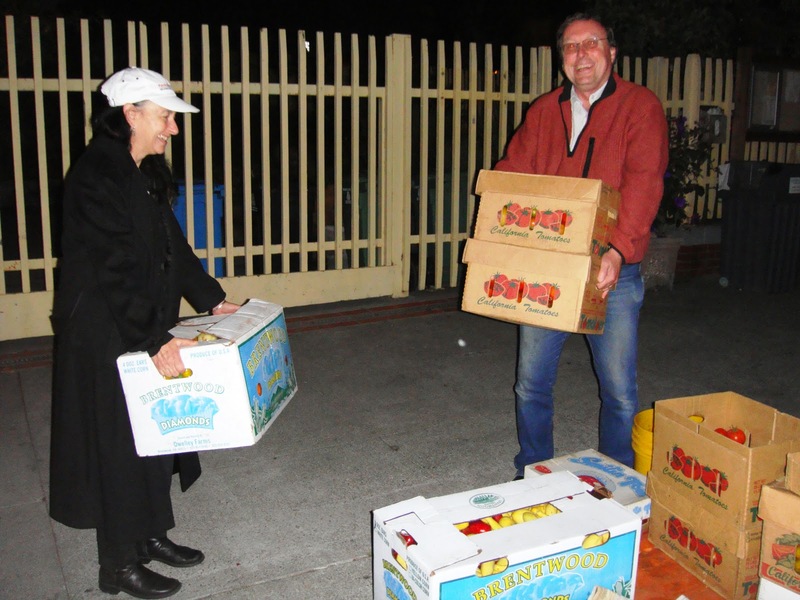 This is a small way: we can help our fellow San Franciscans in need. Tell everyone you know with food to call 415.929.1866.